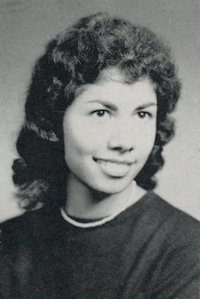 Obituary – Francis, Irene Stephene (Terronez) « Perry High School Alumni Association, Inc. Assembly 55-56; Red Hots 57-58. ﻿Irene S. Francis, 50, Oklahoma City, formerly of Perry, died Saturday after a three-year battle with cancer. A prayer service has been planned for 7 p.m. Tuesday at Brown Funeral home of Perry. Funeral mass will be at 10 a.m. Wednesday at St. Rose of Lima Catholic church. Rev. Kevin Devlin, pastor, will officiate. Burial will be at Mt. Carmel cemetery at Perry. Mrs. Francis was born in Perry, June 28, 1940, the daughter of Phillip and Guadalupe Terronez. She was a 1958 graduate of Perry high school and had lived in Oklahoma City since 1961. She was an apartment manager in Oklahoma City for 20 years. 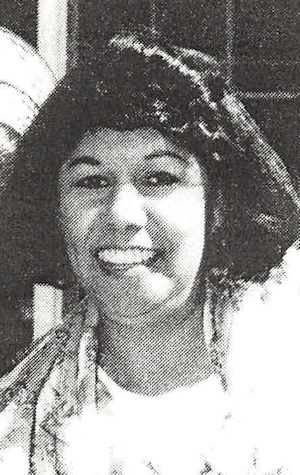 Among survivors are her husband, George, and two daughters, Anne Marie Hendrick and Elena Francis, all of the home; four step-children; three granddaughters; her father, Phillip Terronez, Perry; six sisters, Pat Padilla and Mrs. Hector (Virginia) Tovar, both of Perry; Mary Garcia, Arkansas City, Kan.; Lupe Wills, Enid; Mrs. Jesse (Judy) Conteras, Culver City, Calif.; and Mrs. Bill (Ramona) Lopez, Dayton, Ohio; and four brothers, Phil Terronez, Houston, Texas; Joe Terronez, Arkansas City, Kan.; and Bob Terronez and Manuel Terronez, both of Perry. Mrs. Francis was preceded in death by her mother and a sister, Nora Trillo.